They forgot who we are. 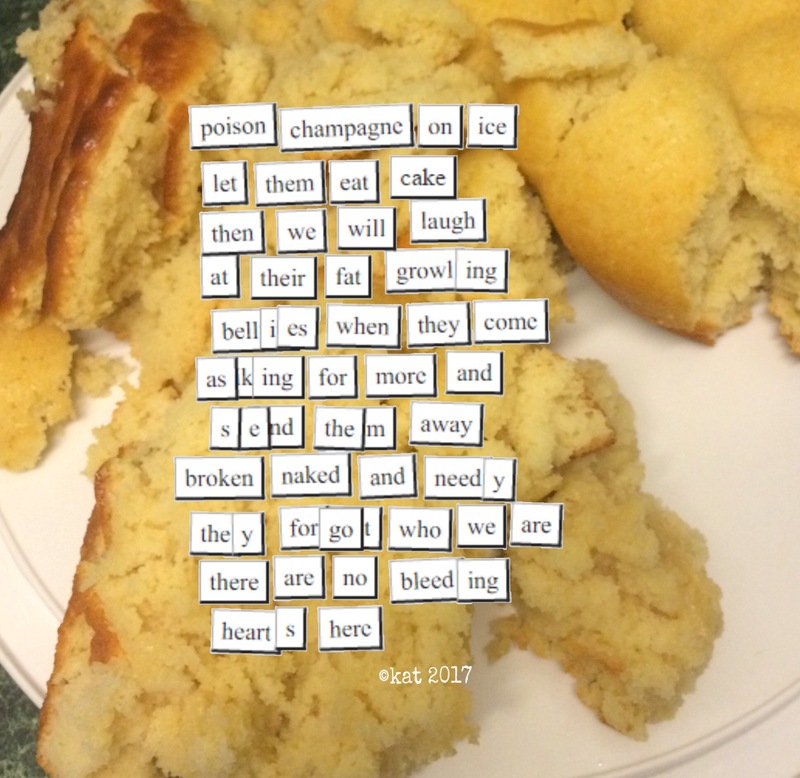 This entry was posted on Monday, March 6th, 2017 at 1:39 pm	and tagged with digital art, Magnetic Poetry, Poetry, political elites and posted in Digital Art & Photos, Magnetic Poetry, Poetry, Social Issues. You can follow any responses to this entry through the RSS 2.0 feed. Sorry to be a bother, Kat, but I was wondering, what is that site you use for the block, magnetic poetry? My apologizes again Kat, but how do I cut and or copy/paste the blocks/page to my blog? you will need to take a snapshot of your screen, crop it and then save it so you can paste it as a photo on your page. That was a lemon Bundt cake fail. Wouldn’t come out of the bundt pan. So I made trifles from it. Haha! And it made an excellent photo for the poem, too! Win-win!